Kris Meeke has capped his amazing Intercontinental Rally Challenge season with a stunning victory in his Peugeot 207 S2000 in the Rally of Scotland. 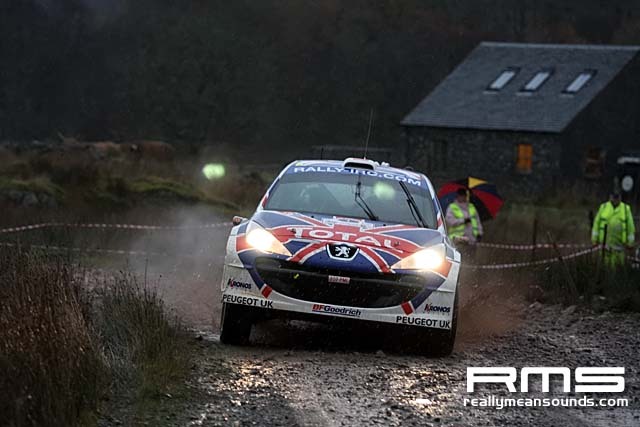 It was the Battle of the Brits as Peugeot UK’s Kris and Skoda’s Guy Wilks fought it out, trading stage wins as they slithered through the Scottish forest tracks made treacherous by torrential downpours during Day 1 and 2. But, in the end, Kris simply outclassed his rival, despite arriving in Scotland with nothing to prove – he’d already clinched the IRC 2009 Drivers’ title in San Remo in September, while Peugeot UK had also secured the Manufacturers’ crown earlier in the season. 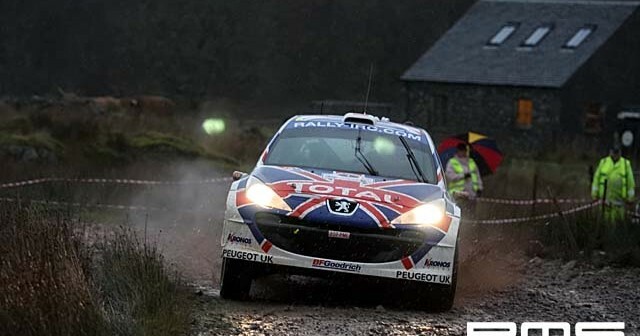 While Guy had fought hard to keep Kris on his toes throughout Friday and Saturday, the Peugeot UK-driver displayed his ultimate supremacy, and was 20 seconds ahead going into the epic, final 33km Loch Ard stage. But there was to be a dramatic end to the last monster stage of the IRC season – competitor David Bogie crashed and rolled, his Mitsubishi ending up across the road with a sheer cliff face on one side and a dramatic 200-foot drop on the other. Thankfully, 22-year-old David and his co-driver were uninjured but the following cars were unable to make their way through, including Kris and his co-driver Paul Nagle. The stage was immediately halted and the stage was cancelled, which handed Meeke his fifth rally win of the IRC season. Guy had to settle for second place, while Alistair McRae (Proton) took third place on the podium.